Uninor has recently launched one of the most exciting ISD plans for its customers in the Karnataka circle. Uninor subscribers can now make international calls across 35 countries for an unbelievable price, which is as low as 1p/sec. For those who feel staying connected with family and friends abroad is expensive, Uninor’s 111 ISD pack will resolve their issue as the plan offers an incredible value for money with a talk time of Rs. 100 with 30 days validity. Customers can now stay connected with their families and friends in the US, Canada, China, UK fixed telephony, Hong Kong and Singapore for as low as 1p/sec. 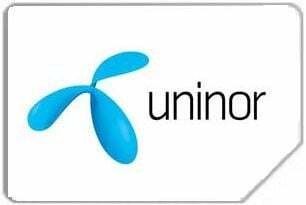 Uninor has also introduced an additional STV 23 ISD pack that offers the same ISD call rates to customers with 30 days validity but without talktime.This offer can be availed at all exclusive Uninor stores and other retail outlets across Karnataka.